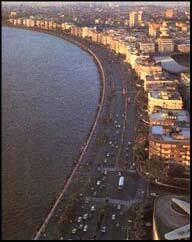 Geographically, Mumbai is situated on the western coast of the country by the Arabian Sea. Mumbai is the capital city of the state of Maharashtra and ranks second in the list of the most populated cities in India. Mumbai is also the financial and entertainment capital of the country. Some very big business houses and the Bollywood bring in people to this city from far and wide. The maritime weather condition of Mumbai makes it easier for the tourists to tour the city, especially during the winter season. The city was initially called Bombay and in the year 1996, was renamed Mumbai. Mumbai in Maharashtra as is said is the land of riches and the beggars alike. This city showcases wealth and power in the multi storied buildings that cater to the biggest multi national companies and industrial houses, and at the same time provides shelter to the teeming millions who live in the slums of the city, including Dharavi, which is the biggest slum of Asia. Being one of the major port cities of India and a trade hub since the British reign in India, the city has a lot to offer to the tourists with its colonial buildings that reflect the glory and brilliance of Victorian architecture. The main tourist attractions of the city comprise the beaches and the important landmarks. The experience of witnessing the waves breaking on to the shore adds to your delight of enjoying an evening by leaving behind the bustles of the city. One should visit Mumbai between November and March. Mumbai City is well connected by air, rail and roadways from almost all the important cities in India. The accommodation option offered in Mumbai varies from a three star budget hotels to luxurious five star hotels and therefore keeps a traveler off the tension of finding a good accommodation. 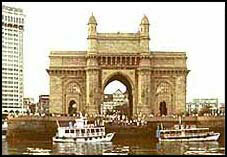 Touristplacesinindia.com offers detailed information about Mumbai in Maharashtra in India.